Circa 1904. 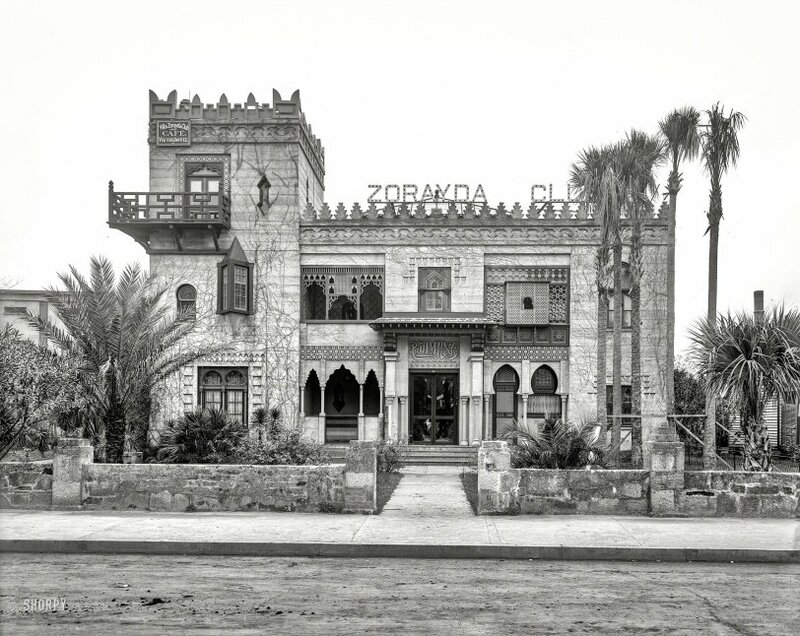 "Zorayda Club, King Street, St. Augustine, Florida." 8x10 inch dry plate glass negative, Detroit Publishing Company. View full size. Submitted by ka1axy on Fri, 09/29/2017 - 1:04pm. The saying, "There is no conqueror but God", the same phrase reproduced in the tracery of the Alhambra, is inscribed in Arabic script above the entrance. And now it's a colorful museum. Submitted by happywaffle on Fri, 09/29/2017 - 11:52am. A less exclusive club, these days. Submitted by J W Wright on Fri, 09/29/2017 - 10:44am.